Beech Cottage in Kirkby on Bain, near Woodhall Spa sleeps 6 people. Enjoying open fields to the rear, Beech Cottage is a detached holiday cottage which is situated on the edge of a village, yet only ½ mile from the village pub which is well known for excellent food and drink. There are coarse fishing lakes ½ mile away, along with four nature reserves within 2 miles, ideal for walking, fishing and bird watching. The Battle of Britain Memorial Flight and visitor centre, home to the WWII Lancaster and Spitfire, is only 3 miles away. Woodhall Spa, with two top class golf courses, the unique Kinema in the Woods (cinema), independent shops, outdoor swimming pool and attractive walks in the magnificent pine woods and choice of coffee shops is 3 miles away. Beautiful, sandy, beaches are about 40 minutes away along with the traditional seaside resort of Skegness. Lincoln with its famous cathedral, medieval castle, cobbled streets, Usher Art Gallery, independent shops and restaurants is a short 40 minute drive away and is a great place for a day out. Excellent walks and cycle routes can be found from the cottage, and along with the Lincolnshire Wolds’ lovely scenery, pretty villages and small towns nearby, there is something for everyone to do. The shop is 3 miles, with the pub and restaurant ½ mile from Beech Cottage in Kirkby on Bain. Ground floor: Living room with French doors. Dining room with tiled floor. Kitchen with tiled floor. 1 double bedroom. Bathroom with bath, shower cubicle and toilet. First floor: 2 bedrooms: 1 double (5ft), 1 twin (zip and link, can be 6ft double). Open fire in living room (initial fuel included). Gas central heating, electricity, bed linen and towels included. 32 Freeview TV. DVD. Electric cooker. Microwave. Dishwasher. Fridge/freezer. Wi-Fi. Large, enclosed, lawned garden with patio, sitting-out area and furniture. Barbecue. Parking (3 cars). Cycle store. Welcome pack. No smoking. Pets allowed at Beech Cottage. 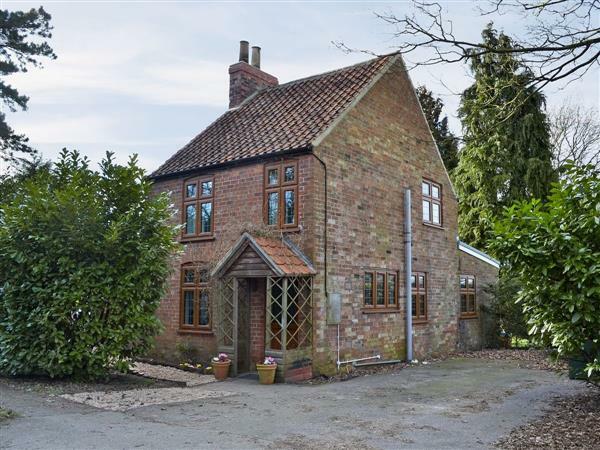 Beech Cottage is in Lincolnshire; should you be on the lookout for a special offer, you can find all the special offers in Lincolnshire. It's always worth checking to see what is on offer at the moment. Do you want to holiday near Beech Cottage (W43432), you can see other cottages within 25 miles of Beech Cottage; have a look to find your perfect holiday location.